The jumper is made from 100% cashmere wool. 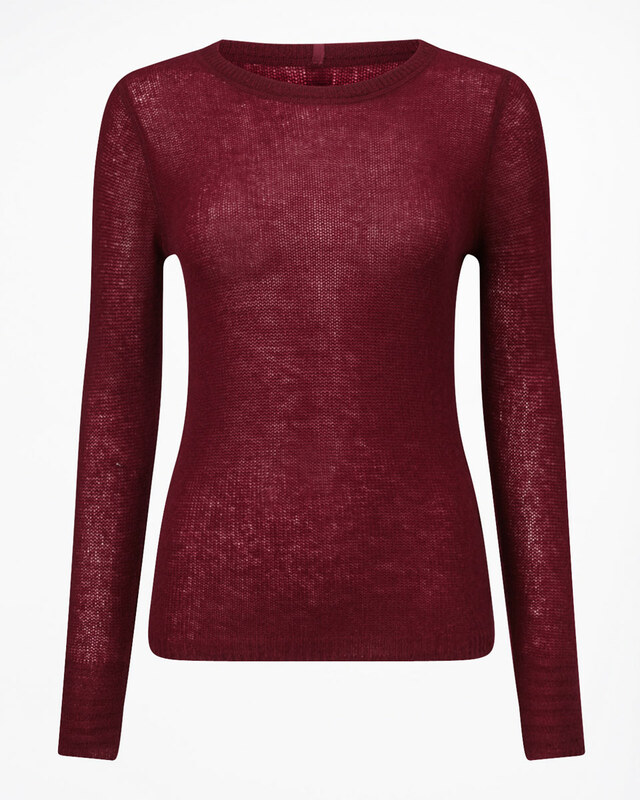 It features a crew neckline, long sleeves, ribbing on the cuffs and ribbing along the hem. The sweater is designed to be semi-sheer. 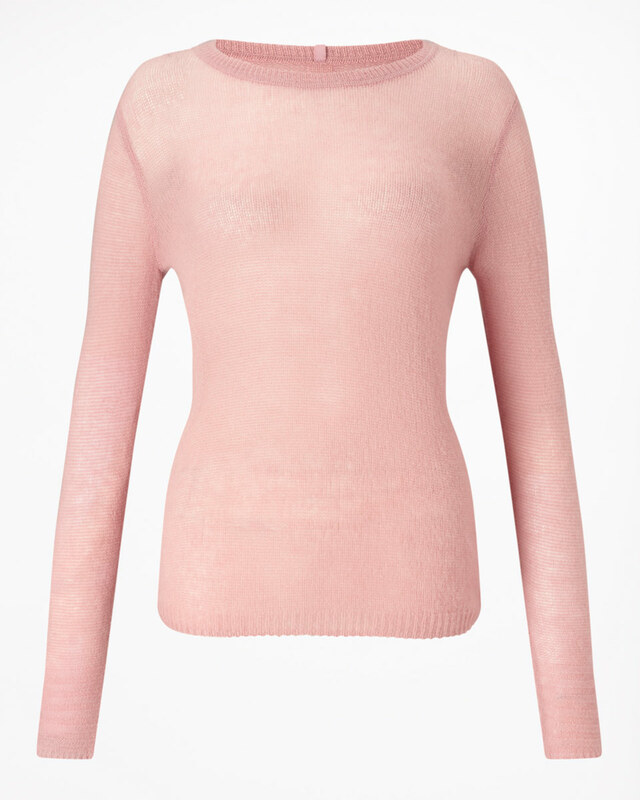 It sweater originally cost £98 GBP (approximately $119 USD at today’s exchange rate) before going on sale at £68 ($83). Sadly, the jumper is from last year’s stock. If you’re keen to own to exact same jumper in airforce blue, there are a few on eBay (at the time of writing). 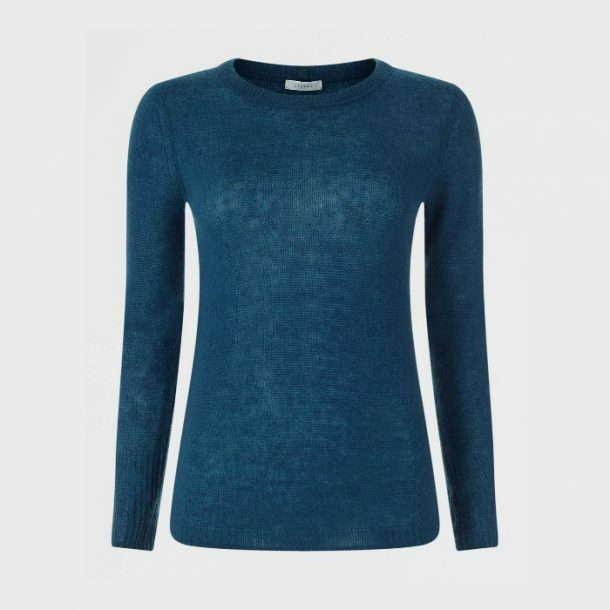 If you do not wish to pay the inflated prices on eBay, Jigsaw have confirmed the Cloud Cashmere Crew Neck Jumper from their current collection is is their “version for autumn winter 2016”. 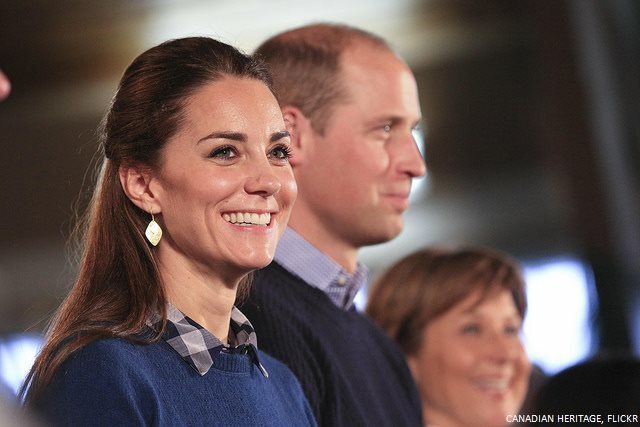 The sweater appears identical to Kates, except for the slightly different ribbing style on the cuffs. 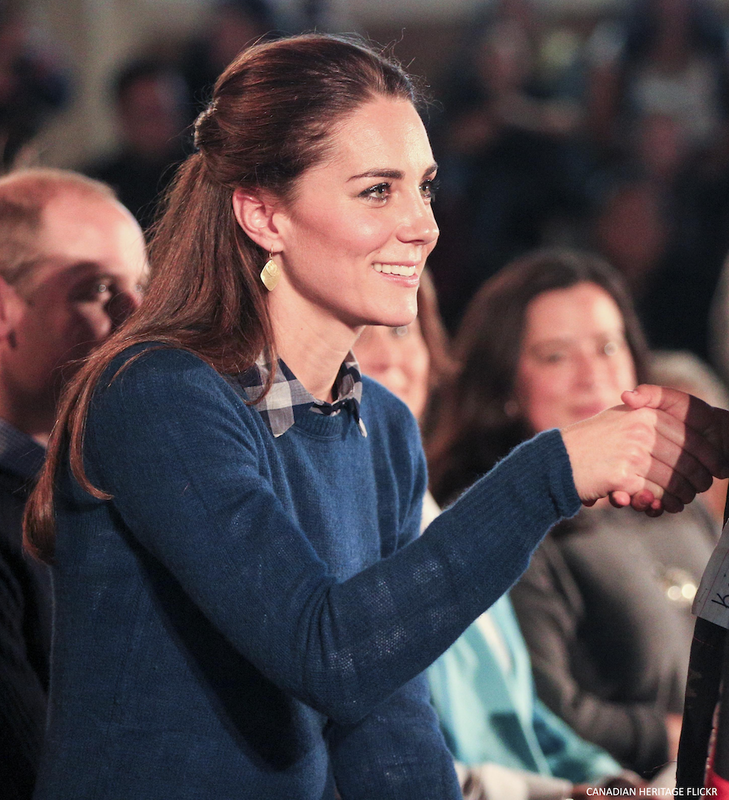 (Kate’s cuffs are ribbed vertically, while the newer season sweater has horizontally ribbed cuffs). 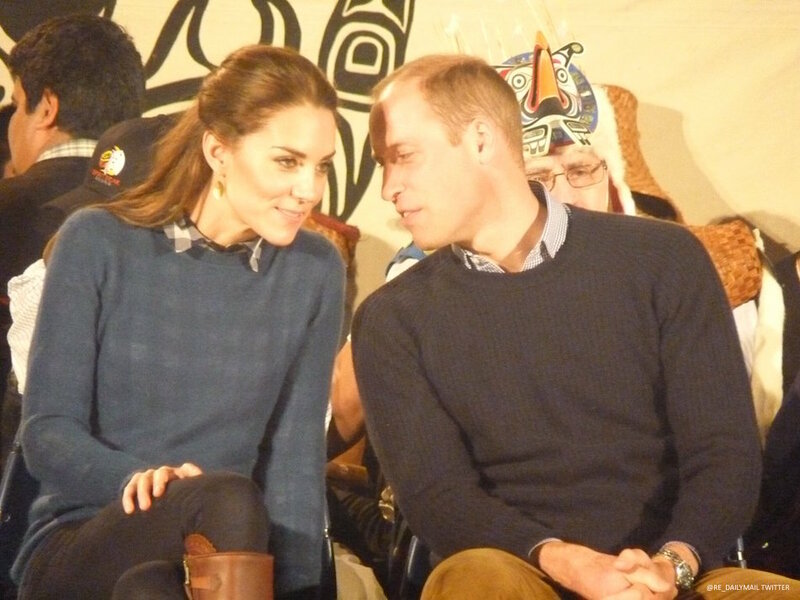 Sadly, the sweater does not come in airforce blue (the colour worn by Kate) but is available in a range of other gorgeous colours: pale taupe, smokey rose pink, bottle green, black and Persian red. Before marrying into the Royal Family, Kate actually worked at Jigsaw for a brief time. In December 2006, Belle Robinson (the company’s founder) offered Kate a job as an accessories buyer. There’s a really fascinating article in the London Evening Standard that includes an interview with Mrs. Robinson. She sets the record straight about the job offering and gives a little insight into Kate’s responsibilities at Jigsaw. She also talks about how Kate handled the pressures of the paparazzi. According to Mrs. Robinson, Kate pitched in at Jigsaw and she wasn’t “precious”. She’d talk to everyone from the van drivers to the girls working in accounting. While working with Jigsaw, Kate helped designed a necklace for the Junior range with jewellery designer and family friend Clauda Bradby Mrs. Bradby told the London Evening Standard that she’d written to Kate to congratulate her on the new appointment with Jigsaw, and then later Kate got in touch to discuss creating a small pendant together (pictured below). 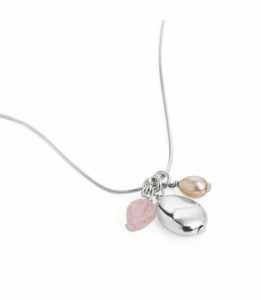 The necklace is still available to buy on Claudia Bradby’s website, though it’s been renamed now. It is known as the “Kate” and it forms part of Bradby’s Heritage collection to mark the Royal Wedding.